We supply the full range of FLUKE Industrial Cameras in Ireland. 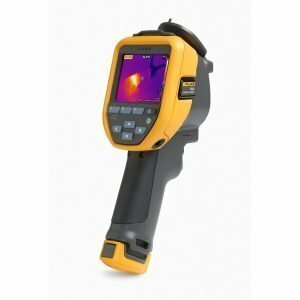 We are the official distributor for FLUKE Thermal Imaging Cameras in Ireland. 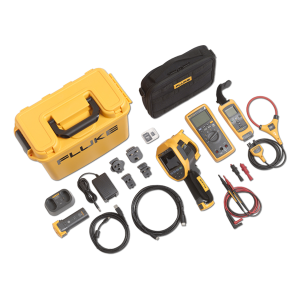 For further selection of Fluke products including Fluke Air Quality and Monitoring tools, Fluke Non Contact IR Thermometers and Fluke HVAC equipment please refer to our dedicated www.fluke-ireland.ie website. 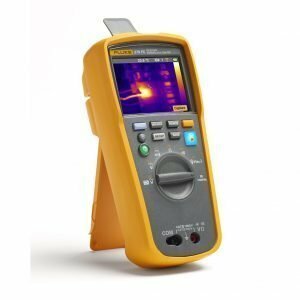 Save time and money – now you can with Fluke 279 FC Thermal Imaging Multimeter. 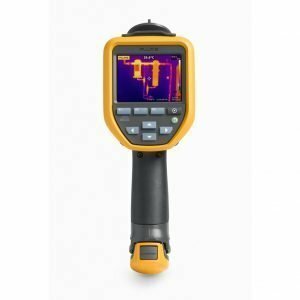 Designed to simplify the process of conducting preventative maintenance, it features built in thermal imager that extends functionality of this true rms multimeter. 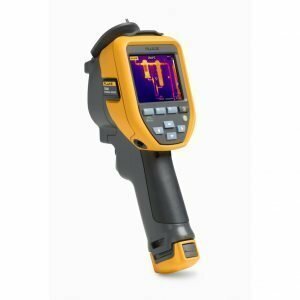 Carry out detailed preventative maintenance surveys with the new Fluke Ti450 – the ultimate handheld Thermal Imaging Camera equipped with MultiSharp™ focus that takes multiple shots of the target and returns clear, brisk picture. €8,299.00excl VAT€10,207.77incl VAT Free Delivery! Preventative maintenance is a proved method to avoid costly equipment failure. 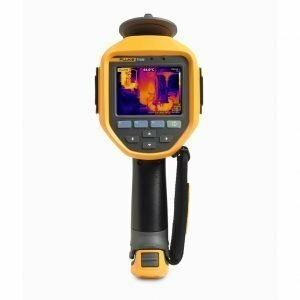 Fluke TiS75 Thermal Imaging camera is ideally suited to that task. €4,995.00excl VAT€6,143.85incl VAT Free Delivery! The Fluke TiX520 Thermal Imager is a sophisticated instrument that makes thermal imaging a simple and enjoyable prospect. All advanced functions are easily accessible through easy to use 5.7″ touch screen and function keys. Tilt-able lens makes it comfortable to use in any situation. €10,995.00excl VAT€13,523.85incl VAT Free Delivery! Get more flexibility, versatility and productivity with Fluke TiX560 Professional Thermal Imaging Camera. Thanks to the unique design features, smart utilities and simple interface your work will be easier than ever. The instrument is equipped with all state-of-the-art systems like Fluke LaserSharp auto focus and Fluke Connect. €12,995.00excl VAT€15,983.85incl VAT Free Delivery! Simple and reliable – these are the best characteristics of a new entry level Fluke TiS10. This is easy, no-nonsense camera that shares rugged body with more advanced models from TiS family. The device offers a considerable improvement over its predecessor. €1,195.00excl VAT€1,469.85incl VAT Free Delivery! 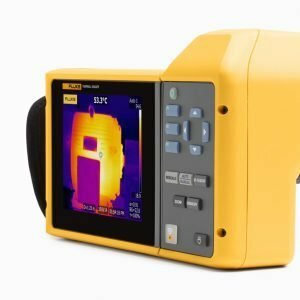 Thanks to the simplified construction, Fluke TiS20 is easy to use for less experienced thermal imaging operators. The device is optimised for one hand use. The 120 x 90px sensor allows for basic application. The camera is ideal for medium business use both in building and industrial operation. €1,399.00excl VAT€1,720.77incl VAT Free Delivery! 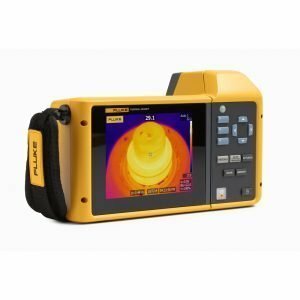 Easy to handle and brilliantly simple to use – these are the main characteristics of the Fluke TiS40 – a mid range fixed focus thermal imager from Fluke. Ideal for smaller scale operation the TiS40 would work very well as maintenance instrument in areas where risk of machinery failure means downtime to production process. €1,999.00excl VAT€2,458.77incl VAT Free Delivery! Fluke TiS45 features manual focus which means that the operator can adjust it manually to suit the exact requirements. The TiS45 is an entry TiS model with manual focus. The device is perfect for both building application or industrial maintenance. €2,399.00excl VAT€2,950.77incl VAT Free Delivery! 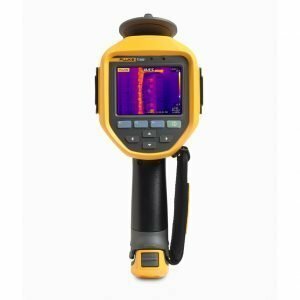 The TiS50 from Fluke is an excellent instrument for conducting air tightness surveys in buildings but would also suit for preventative maintenance in large industrial outlets. €2,699.00excl VAT€3,319.77incl VAT Free Delivery! The manually adjusted focus in Fluke TiS55 allows for more precise thermal imaging shots. The benefit of manual focus is that it allows for better flexibility and in the same time lacks the complexity and high cost of more sophisticated auto focus systems. €2,999.00excl VAT€3,688.77incl VAT Free Delivery! 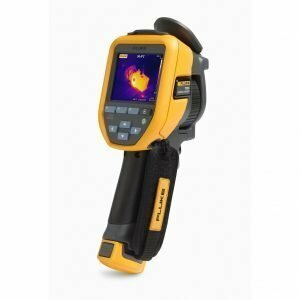 The Fluke TiS60 is an advanced fixed focus thermal imager designed for professional users. It features 260×195 resolution sensor and IR-Fusion® technology for precision image blending. €3,399.00excl VAT€4,180.77incl VAT Free Delivery! High resolution of 260×195 and manual focus can be decisive factors backing up the TiS65 model because they allow for easier and quicker fault detection and can prevent from costly downtime of the monitored equipment. €3,699.00excl VAT€4,549.77incl VAT Free Delivery! Available with the TI200, TI300, TI400, TI125, TI110 or TI105 thermal imagers, the A3001FC IFlex kit consist of wireless enabled Digital Multimeter and AC current clamp making it a complete preventative maintenance kit. €472.00excl VAT€580.56incl VAT Free Delivery! The Ti400 is range topper for advanced handheld thermal cameras from Fluke. 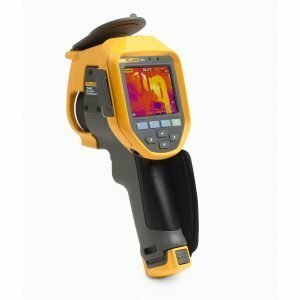 Equipped with state-of-the-art hardware combined with highly refined software utilities, the Fluke Ti400 is designed to streamline thermal imaging and bring it to the new level. €6,899.00excl VAT€8,485.77incl VAT Free Delivery! Highly advanced hardware enables the Ti300 to record ultra-sharp images and then send them through Fluke Connect to other members of your team. 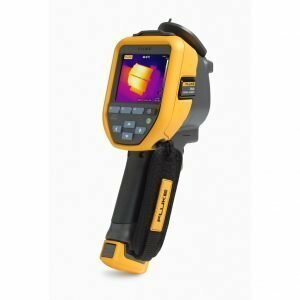 Get in touch, make correct decisions based on facts that you can have on hand in an instant thanks to the Fluke Connect enabled Ti300 Thermal Imager. €5,699.00excl VAT€7,009.77incl VAT Free Delivery!